Want to travel to one of the most beautiful places in the world, learn Photography/Videography, and make new best friends for life!? We are hosting a photography and videography retreat in Queenstown, New Zealand and want YOU to come with us! Queenstown is said to be the adventure capital of the world with lakes, mountains, waterfalls and hikes! We are planning on doing all these things PLUS hot air ballooning and (optional) bungee jumping!! 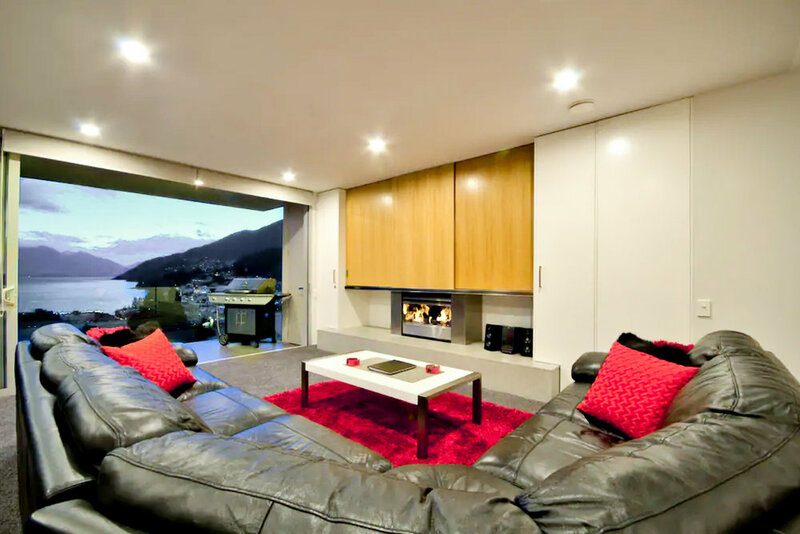 We will be staying at a beautiful holiday home with an amazing view overlooking Lake Wakatipu. Breakfast, accommodations (Jan 23rd-27th- 5 days & 4 nights), group transportation while in New Zealand, Photography/Videography classes, group activities and excursions, and Professional Photos/Video of the trip. This is a perfect way to escape the winter and visit New Zealand right in the middle of their beautiful summer! Jan 23rd- WELCOME TO NEW ZEALAND! Arrive in Queenstown and meet the group! After we get settled into our home, we will have a class on camera settings. Then we will drive up to the Glenorchy scenic drive to watch the beautiful sunset over Lake Wakatipu. Morning hot air balloon ride rising to altitudes of 6,000ft or more while seeing panoramic views of Queenstown, Southern Alps, lakes, and rivers. In the afternoon we will do Bobs cove hike and swim. In the evening we will have a Photography/Videography class on editing. Morning class on shooting and composition. 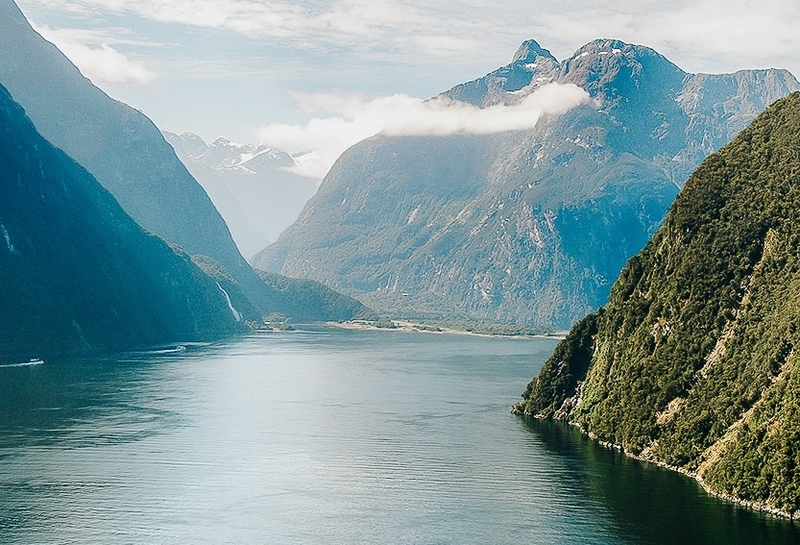 We then head to Fiordland National Park for the day to explore Milford sound and the beautiful lakes and waterfalls! 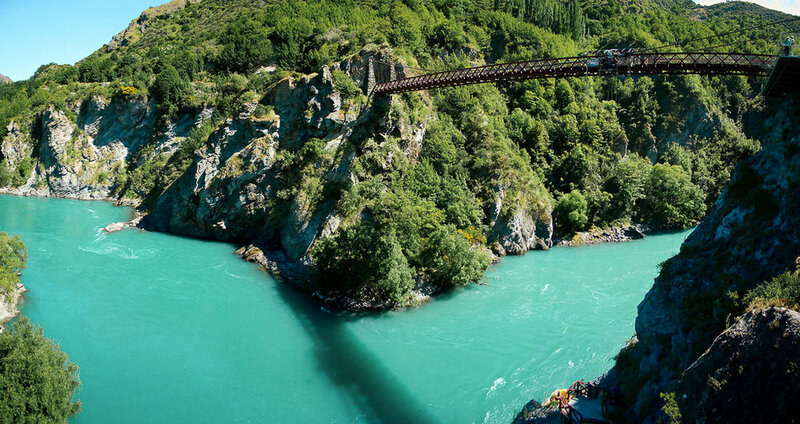 Morning bungee jumping activity at the Kawarau Bridge (optional $150 add on). We will then have a Photography/Videography class on social media, creating a brand, hard drives, business, and finance. In the afternoon we will go see the beautiful Thunder Creek Falls Waterfall. We’ve tried to take care of absolutely all of the planning for you, so all you have to do is show up and have fun! We hope we can all leave best friends for life with the most amazing memories!! To get started all you have to do it push "APPLY NOW" and fill out the application. Once you receive an email being approved, you will need to sign a travel agreement and give us a deposit to save your spot! Since spots are limited we have a first come first serve policy. Your spot is only saved once we receive the signed travel agreement and deposit! Our last retreat was so amazing! Click HERE to see our blog post all about it! How do I get to Queenstown New Zealand? You will want to book a flight into the Queenstown Airport. From there, we will pick you up and help you get settled in. If you decide to come a couple days before, we should be able to pick you up as long as you are in the town of Queenstown and let us know before hand. Prices can fluctuate but we try to get them booked as soon as possible :) My favorite tools for booking flights is google flights, skip lagged, and hopper. I love google flights because it tells you the best days, skip lagged is rad because it looks at loopholes in pricing with layovers, and hopper tells you the best time to buy!! Also, it’s really important to clear your cookies on your web browsing. With google algorithm, sometimes they notice that you look up flights multiple times and they will make it more expensive. For this reason, you have to go into your history and clear your cookies which erases your search history. Here's a little video showing you how to do that: (https://youtu.be/ptr2Dfdh16w). A $1,000 deposit is due upfront to lock your spot! The remainder is due by December 1st. Unfortunately, your payments are non-refundable. We can't do any refunds. In order to secure rates and ensure our group stays together, we need to be able to pre book our accomodations, transportation, activities, etc. If you are coming from the United States, you don't need a visa. You do need a U.S Passport. If you are coming from a different country, you need to check the visa requirements for your country. What level of Photographer/Videographer do I need to be?